Chickpeas are staple legume in many cultures throughout history. One of my favorite books in the Bible, Ruth mentions them by name. Yes, Ruth enjoyed humus and pita bread just like me! Before I can my chickpeas I soak them overnight in a large bowl filled with water 5 inches over the surface of the top of the peas. The next day I wash the chickpeas under cold running water and then drain. Next I put the chickpeas in a large saucepan. I add water to cover about 2 inches above the peas and bring mixture to a boil. Then I reduce heat and allow them to simmer for about 20 minutes. While they are simmering I prepare my jars in a boiling water bath to be sure they are clean and sterilized. After the chickpeas have simmered I ladle them into jars with the liquid I cooked them in. These are the ones I use in salads or making humus. 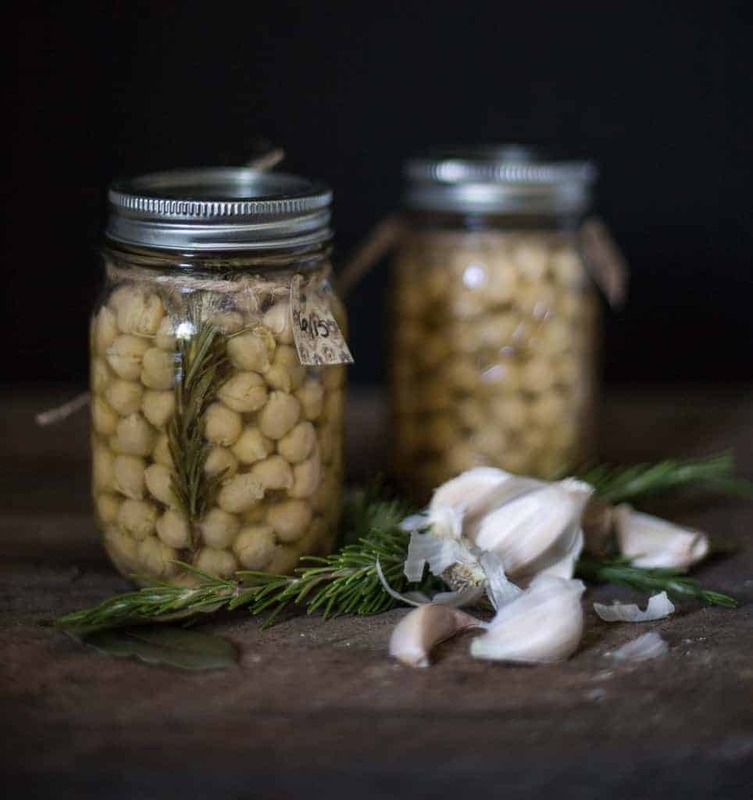 If I plan on serving them as a side dish I drain the chickpeas and pack them with hot chicken broth, a sprig of rosemary, one bay leaf and one small whole clove of garlic. 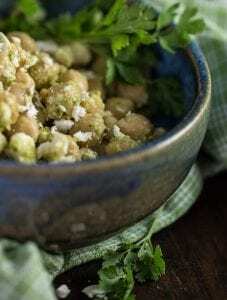 After you have canned your own chickpeas be sure and try my recipe for Chickpea Salad with Pesto and Feta. It is a healthy and delicious salad that pulls together the summer flavors of fresh basil and parsley. The addition of smooth creamy feta and just a splash of red wine vinegar makes this salad a wonderful salad to serve to your family and friends on a warm summer day. 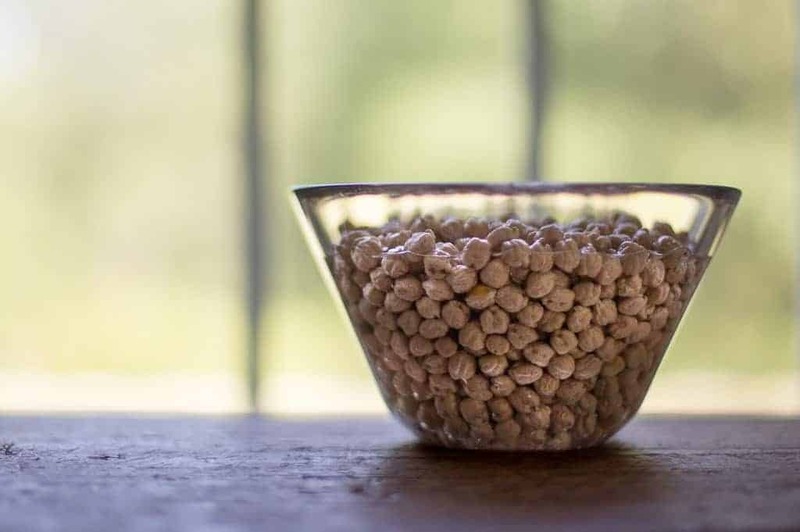 Soak chickpeas in a large bowl with 5 inches of water above the surface of the peas overnight. Put chickpeas in a large saucepan. Add water to cover by 2 inches. Bring mixture to a boil. Pack hot peas into hot jars, leaving 1-inch of head space. Add ½ teaspoon of salt to each pint jar or 1 teaspoon to each quart jar. If you prefer a seasoned chickpeas substitute hot chicken broth for water and add a sprig of rosemary, 1 small clove of garlic, 1 bay leaf to each jar. Remove air bubbles. Clean jar rim. Center lid on jar and adjust band to fingertip- tight. Place jars on the rack in pressure canner containing 2 inches of warm water. Place lid on canner and turn to locked position. Adjust heat to medium-high. Put weighted gage on vent: bring to pressure to 10 pounds. Turn off heat; cool canner to zero pressure. After 5 minutes, remove lid. Let jars cool 10 minutes. Cool 12 hours on the counter then remove rings and store jars. can these only be canned in a pressure canner? or would a hot water bath process work? A hot water bath would not work. All legumes need to be canned under 10 pounds pressure for 90 min. for pints. They are a low acid and no sugar item. However, when you cook them on the stovetop to serve for dinner, you can add the rosemary and garlic while cooking to create a great flavor. It would also be good to cook them in chicken broth when doing them on the stovetop. This is interesting. I wonder if the water would function as an egg substitute as the new marvel described as Aquafaba? That’s a good thought. When you can chickpeas they develop a jelly like substance all around them. I usually rinse this off if I am tossing them in a salad or such. However when making hummus I just put the whole jar in the blender without rinsing. Makes for a thicker, creamier hummus. Hi! I am new to canning..and I am trying to can my Indian recipes. I make a lot of curried chickpeas.. If I cooked a curry recipe as normal, could I can that? Unfortunately there’s not many resources for canning ethnic food. Here is their suggestion for chicken soup, which is a combination of low acid foods. PROCESS filled jars in a pressure canner at 10 pounds pressure 1 hour and 15 minutes for pints and 1 hour and 30 minutes for quarts, adjusting for altitude. Remove jars and cool. Check lids for seal after 24 hours. Lid should not flex up and down when center is pressed. You have inspired me to can my chicken curry recipe. What a great idea to be able to cook some jasmin rice in my rice cooker and then heat up a jar of curry on a night when our life has been busy. By the way WhitBit, I love your site, the photography, the recipes, the template, it all looks great! I’m going to spend some time this evening when things get quite poking all around to see what goodies you have. Will be printing some recipes and trying them out! Thanks for the info but Ruth only mentions bread, not pita bread and chomets means vinegar, NOT chickpeas or Hummus.